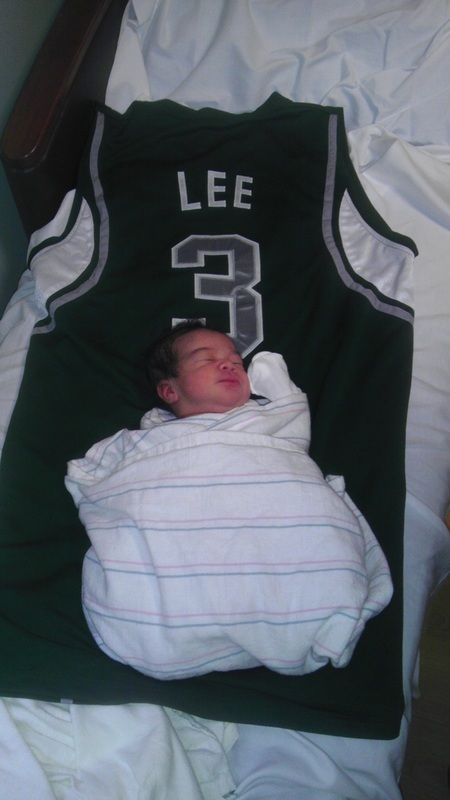 Proud Parents Menehunes Hall of Famer Ryan Lee and Alexis Lee welcomes Brandon Lee into the world of basketball! 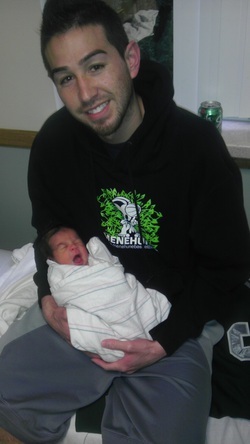 On April 30, 2012 at 8:33am, a new baby boy was born. Standing at 1foot-8.5inches (without shoes) and weighing 7lbs 8oz, Brandon Jacob Lee took his first breath of air in this exciting new world of his. Brandon couldn't be any luckier to have such loving parents like Ryan and Alexis Lee. This is a new chapter of the "LEE's" family. Ryan Lee was a member of the Menehunes basketball team for quite some time now. He played a key role in the Menehunes organization success. 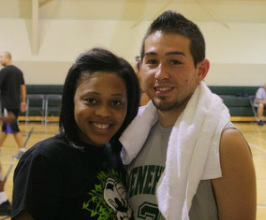 What Team President Jimmy Miyasaka has to say about Ryan and Alexis Lee? I remember a while back, when Ryan said "I cannot make this Sundays game", and I was like you got something planned? Ryan said..."Yes, I am proposing to Alexis, the girl of my dreams"
I said to him, I am happy for you, this girl Alexis really does make you a happy man! Then back on May 22, 2009, I was fortunate to see Ryan and Alexis take their vows at the alter, and witnessed a wonderful wedding ceremony. The beginning of the "Lee-dynasty." 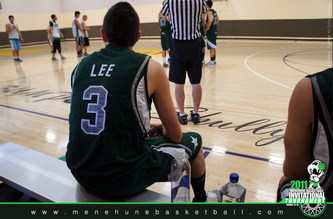 Throughout the years Ryan played on many successful teams for the Menehunes and has won 10+ league/tournament championships under the Menehunes franchise. Alexis was right there for the team and is one of the Menehunes biggest supporter and fan! Ryan Lee AKA "Mr. Big Shot!" I am hoping on the year 2032 we will seem Brandon Jacob Lee in New York for the NBA Draft! If he is like his father Ryan, he will be a clutch basketball player that will make BIG SHOTS! So watch out for Daddy Ryan Lee pushing a stroller in the gym and a little boy running around in some Air Jordan's!